Winter Nights Gold is the first bi-colour GoS Watch and has a smaller case that the previous Winter Nights models. 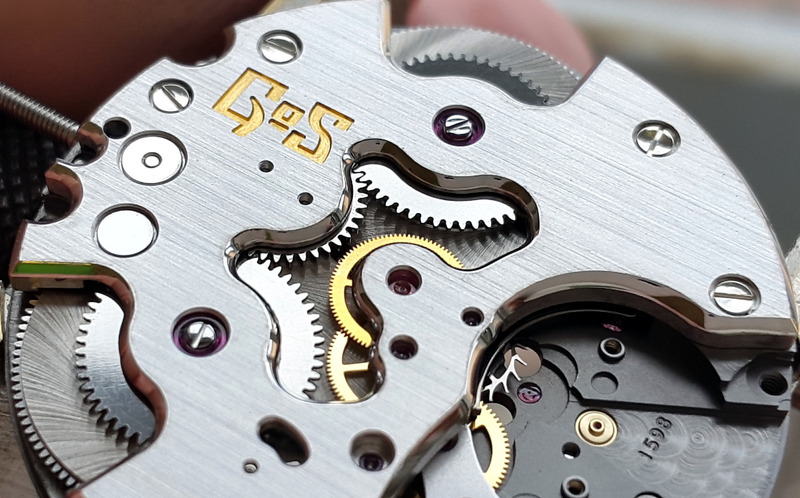 The new GoS movement has a 5 days power reserve and a center seconds hand, which means that the GoS triple blade symbol in gold is fixed to the dial. All gold parts are made from solid 18k "redgold" which are manufactured and finished in the GoS workshop. 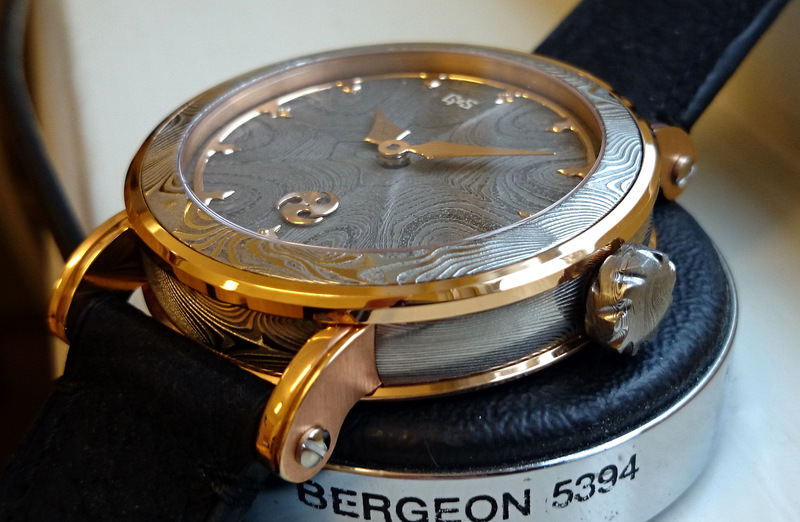 The dial is manufactured from two different Swedish tool steels that are forged together and folded to reach a total of 192 layers before Johan Gustafsson applies his trademark techniques to create the wildflower pattern. 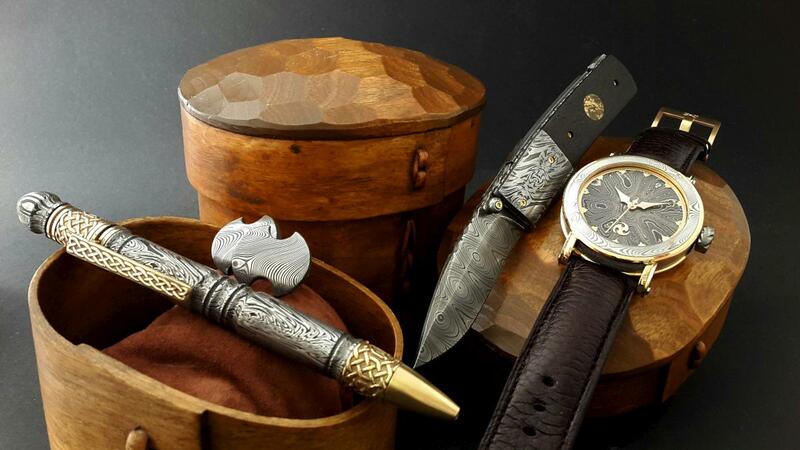 Given the nature of damascus steel, every Winter Nights is a unique piece and is numbered in production sequence. 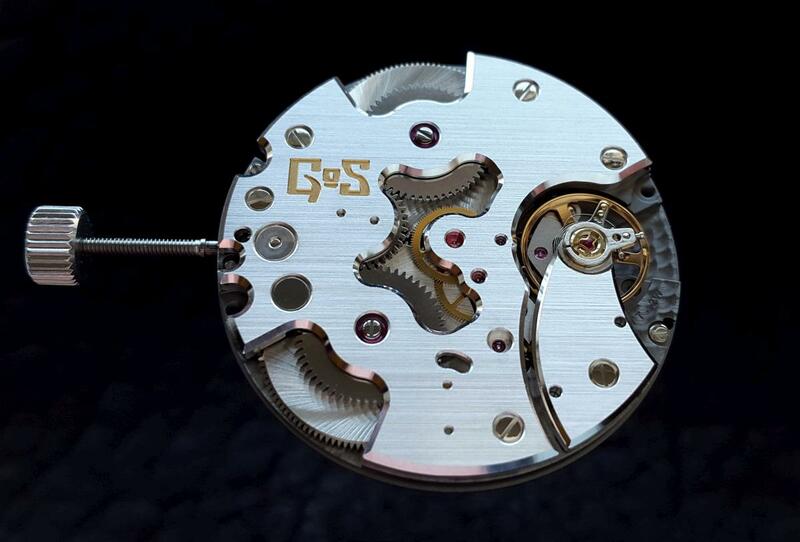 The GoS02 calibre is based on the manually wound TT718 from Technotime and has a double barrel to provide the long power reserve of 120 hours, or five days. The bridges of the base caliber have a classic straight grained finish with deep, high-gloss polished beveled edges, while the main-plate has received perlage and a dark gray surface treatment. All wheels as well as the GoS logo are gold plated to match the pink gold details of the GoS watches. 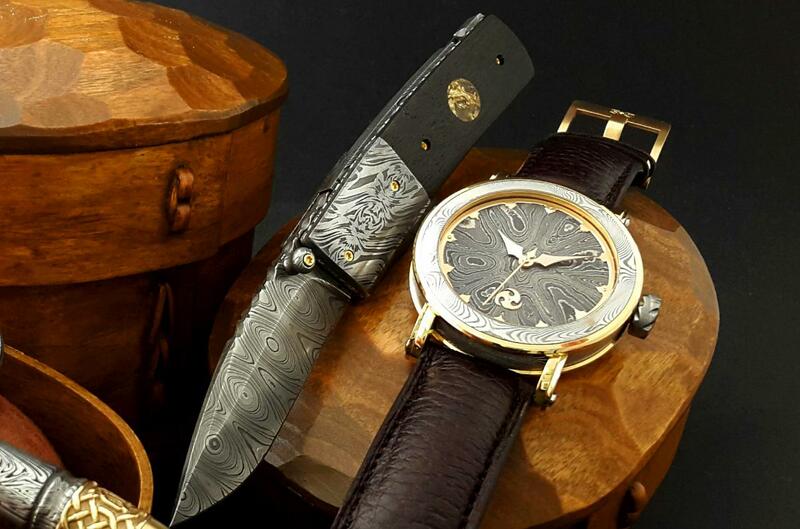 The Winter Nights is available with movements in either the classic finishing or with an optional damascus steel GoS02-movement that has been modified by manufacturing and finishing damascus steel bridges from Johan Gustafsson's handforged Damascus steel. File work is used by the most skilled knife makers to enhance their work and a knife with handmade file work transcends the tool from a utility to functional art. 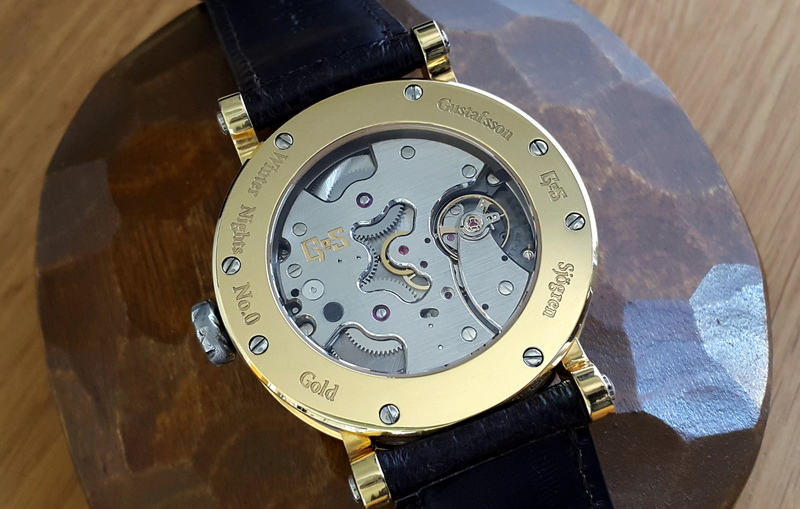 The first two GoS watches that were manufactured in 2008 had file work applied to the Titanium case back. 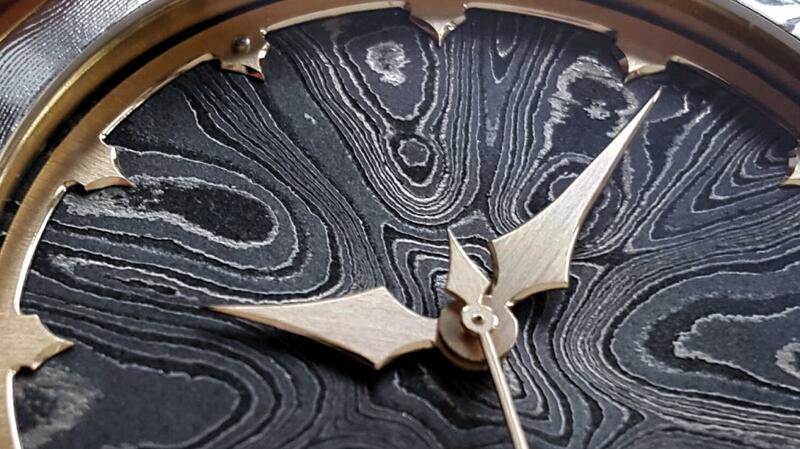 GoS decided to re-introduce this technique to the the watches by applying it to the damascus steel crown. The numbers three and nine are both significant numbers in Norse mythology, which is why we designed the pattern to consist of nine indentations on each side. The file work not only adds new details and highlights but also improves the grip. The watches are delivered in a presentation box that is individually crafted in Walnut wood by Kanevad artisans in the old town of Linköping. Note: This watch was initially introduced with the name Nordic Seasons - Gold. However, the changes that were made in the specification early 2015 made it a natural successor to the previous Winter Nights watches. The new name was official after Baselworld 2015. 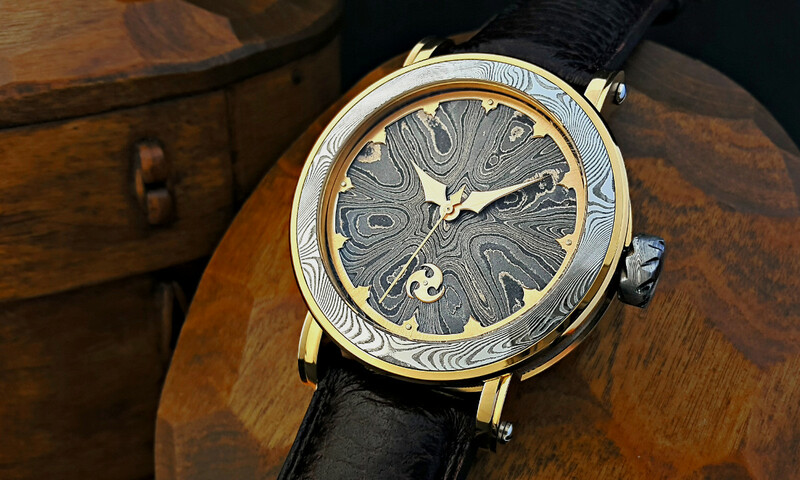 Movement: Classic or damascus steel finishing of the GoS02 caliber, which is based on Technotime TT718 and manufactured to COSC specifications. 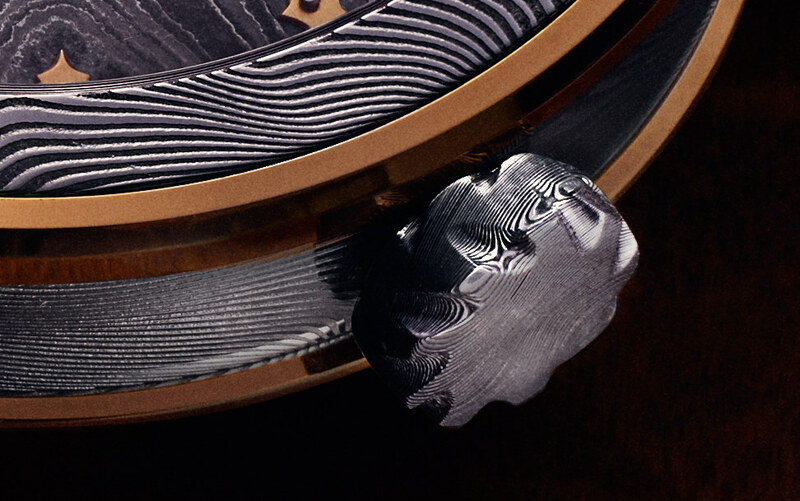 The movement has a center second hand and ticks at 4Hz (28,800) with a 120 hour power reserve. 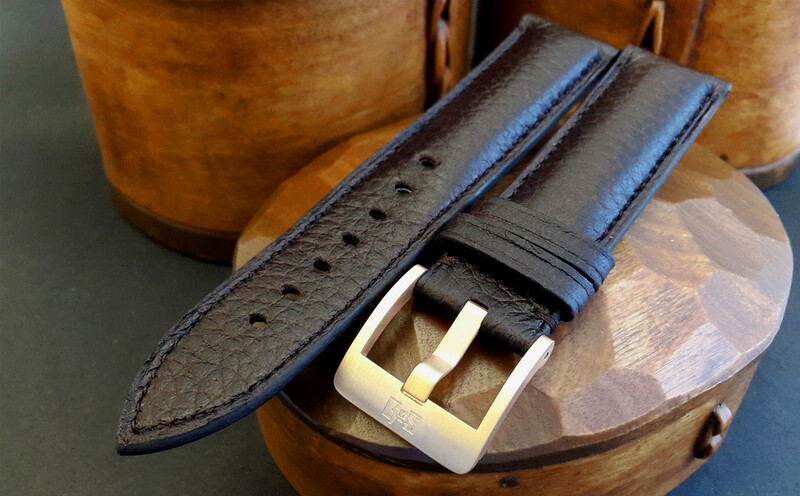 Optional Damascus steel bridges are manufactured in Sweden from one piece of handforged damascus steel that has a woodgrain pattern. 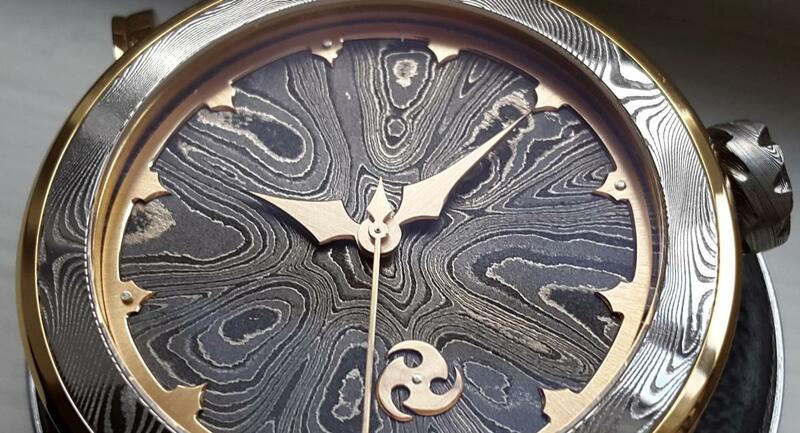 Every watch will be a unique piece as it is not possible to duplicate the handforged pattern. Individually crafted box in Walnut wood.